This entry was posted in Finished Sweaters!, Inspiration, Real life? 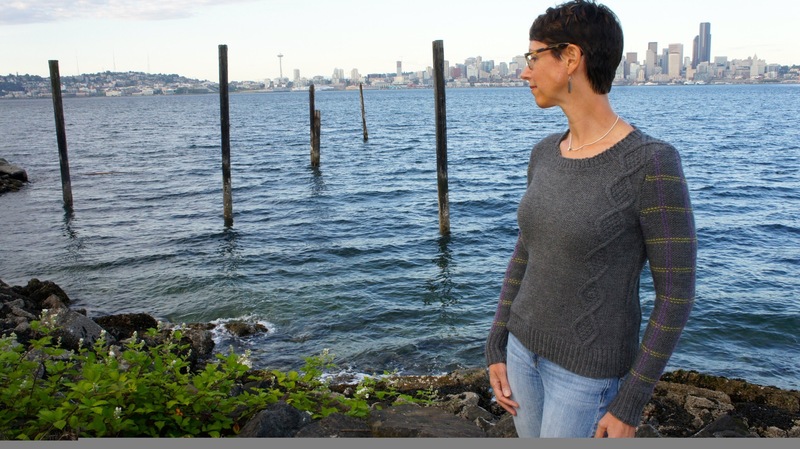 and tagged handknit sweater, knitty, knitty deep fall 2014 by Leah. Bookmark the permalink. I totally understand about your mother and your designing – Good for you – looking at the two week deadline extension and seeing it as an opportunity tailored just for you! I was designing quilts and thinking of teaching quilting 12 years ago as my mom, a knitter and quilter, was passing away from bone cancer – she died on a Thursday and I used it as an excuse not to go to a Saturday teacher’s meeting I had been invited to at a local quilt shop…I woke up on Saturday morning with my mother’s voice in my head saying “Go, damn-it! !” I did, and I have been happily teaching, creating and passing along the things my mother taught me ever since. Your mother will be in all your creations as you move forward with your designs. Go for it. Good for you! What a great story…and I totally get it! You use a moment like that to rally, and it can change you. I truly believe that us the outcome our loved ones would want, too. Thanks for sharing that! Congratulations! I love the Sweater! Good to know that another fellow Deep Fall 2014 designer’s on WordPress (I designed the Mirror socks)! Congrats with this design, it’s beautiful! No wonder your mum was so proud! Thank you! Such a sweet comment..it feels good to share the joy, you know? Thanks so much..especially because I get much of my inspiration from all of you..the amazing blogs I read! Nice job, Leah. I’m really happy for you and your mom is cheering you on! It’s STUNNING!!! 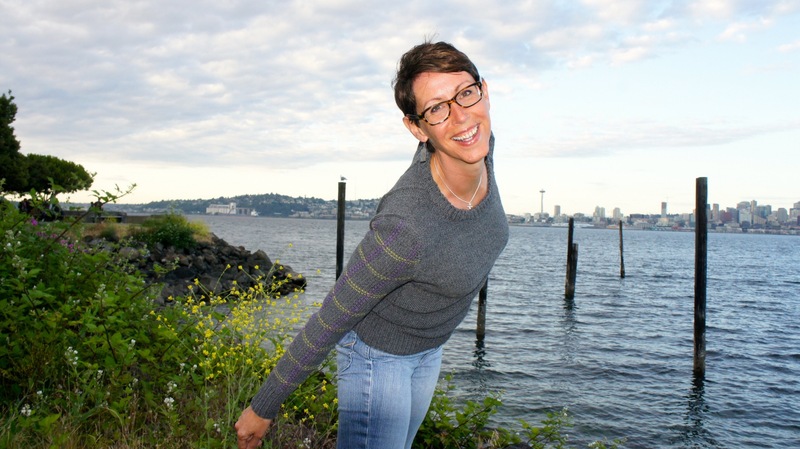 Prettier than the city, methinks….though I’m just across the way in Kirkland. Glad you pushed through and agree with everyone that your mom is proud, too! Thank you!! It’s nice to hear from another Seattle area person! So much inspiration in our area! I really liked the sweater when I saw the recent Knitty – how wonderful. I must tell you your post is very moving. Thank you. Thank you, on both accounts. It’s strange..it was a hard and happy post to write. Thanks so much Tina! Isn’t it fun when you recognize people from our blogging circles? I love it! Congrats on the sweater, it looks fabulous, I love the subtle detailing on it. I’ve queued it to knit when I live somewhere a little bit cooler again. Thank you, and that’s awesome!! It is warm..but I’m a wool fan, since I get cold easily! Thank you so much!! I’m still totally stoked that it’s out there now! Congrats Leah! That sweater is so beautiful. I am so sorry about your mom. I know she will always be near you. My story is similar as my mom was a big part of my taking the steps years ago to start my original knitting business designing kids and adult sweaters and accessories etc. She too passed away from cancer and it was very hard, but I knew she was still a part of me and was there in my memories whenever I needed her. 🙂 She is a big part of why I began again in Woman’s accessories and I designed one of my favourite designs in memory of her. The Rose Onie scarf. Every time I make one for someone I think of her and it makes me smile. This stunning sweater you have designed will always be special to you. You can see the beauty and she would be so very proud that you went for it!! Great job. Can’t wait to see more. Thinking of you during this time. Thanks Valerie..and for sharing your story. I love the Rose Onie scarf! 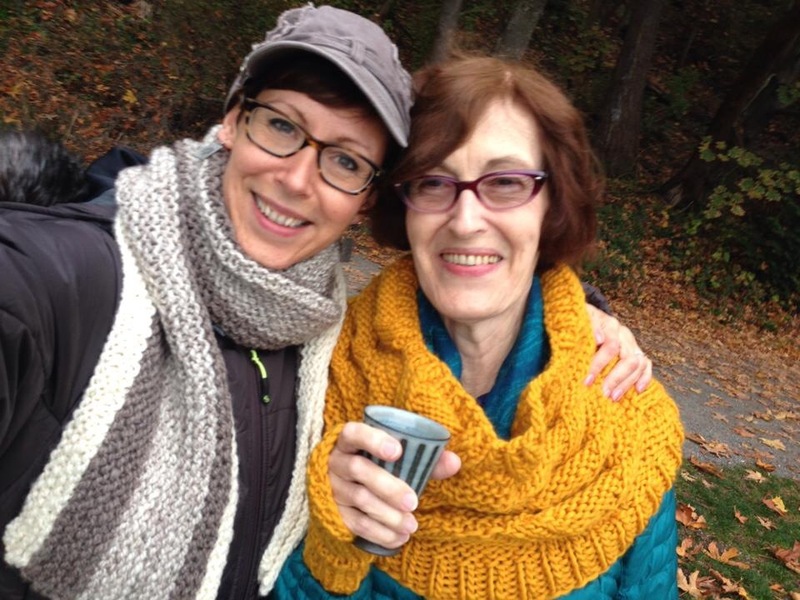 What a great way to keep her memory warm and alive..
Congratulations on getting your pattern on Knitty! Thanks so much!! It’s been such a great experience..and I am still riding the “totally excited” wave! So incredibly proud of you!!! I didn’t even need to read down to see where that sweater came from. Turned out great! So sorry to hear about your mom and sorry I’m late to the party on that. Was thinking about you after going to VKL in Pasadena last weekend. Take care!